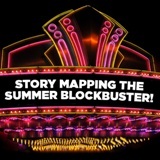 Story Mapping the Summer Blockbuster! Every major movie studio bets it all on their “franchise films,” the big-budget popcorn movies that spawn monster box-office, numerous sequels, and merchandising bonanzas. Each summer sees a spate of contenders battle for the top spot on the box-office charts, and this season is no exception. This webinar will focus on the storytelling methods employed by the biggest summer blockbusters. Learn the structural secrets of several recent franchises like The Avengers, Iron Man, Star Trek, The Hunger Games, The Dark Knight and The Hobbit; how they employ conventional structure and how they break the rules. Story Analyst Daniel Calvisi will introduce you to the story structure and principles used in most commercial movies, including most of the summer blockbusters that you have seen and will see this season. The "Story Map" breaks down a movie into its clear, concise dramatic elements and plot points, with exclusive, detailed specifications to help you employ the same techniques in your screenplay. Daniel first developed this method while working for major studios like Miramax Films and Twentieth Century Fox. This structure is what readers look for on the page and how movies are edited for the screen. How to break down major, award-winning movies and identify what makes them work, with a focus on the summer blockbuster and its unique features, such as action set pieces, character archetypes and universal themes.